The Book of Mormon Musical on Broadway grossed $1,801,672 and had an attendance rate of 102.6%, same as that of the previous week. The Book of Mormon continued to top itself, the 42nd time it has broken its own house record at the Eugene O’Neill Theatre. 12 Broadway shows join the $1 million club at the box office for the week ending Nov. 25 – the first time that’s happened all year 2012. The 31 shows on the boards grossed $27,019,879, improving around 23.94% from the previous week’s totals. Below are the Top 15 Grosses from BroadwayWorld.com for the week ending November 25, 2012. Happy Thanksgiving! Celebrate the 12 Days of Savings. FREE SHIPPING on all Book Of Mormon Ticket orders of $100 or more! Valid Friday, November 23 to Tuesday, December 4. This free shipping code provides Book Of Mormon Musical tickets for the shows of your choice, on your preferred date, in advance, from your home. 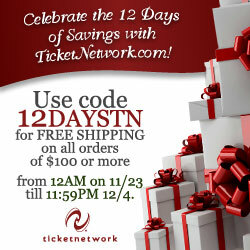 Buy Book Of Mormon Tickets Online, Use Code 12DAYSTN for FREE SHIPPING on all orders of $100 or more – Valid Friday, November 23 – Tuesday, December 4. The Book of Mormon on Broadway grossed $1,620,206 and had an attendance rate of 102.6%, same as that of the previous week. The 33 shows on the boards grossed $20,881,277, improving around 6.14% from the previous week’s totals. Ben Platt will be joining the national touring cast of “The Book of Mormon” beginning December 11, 2012 in Chicago. Created by “South Park” writers Trey Parker and Matt Stone, in collaboration with Robert Lopez, the songwriter from “Avenue Q,” “The Book of Mormon” made a splash when it hit Broadway in 2011, winning nine Tony Awards, including “Best Original Score” and “Best Musical.” Platt will play Elder Cunningham, played by Josh Gad in the original Broadway cast. 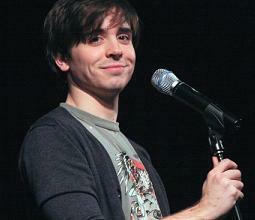 He will perform alongside Nic Rouleau, who will be playing the role of Elder Price. Rouleau is currently in the Broadway cast of “The Book of Mormon” in the same role. Zoë Miller of Spectator talked to Platt about his experience with musical theater, his process, and what it’s like being in a feature film. What is your past experience with theater? How did you get to where you are now? Ben Platt: I’ve been doing professional musical theater since I was nine or 10 years old. I used to do a lot of stuff as a kid, and then all through middle school and high school I would do a job here and there, whatever I could do while staying in school. And the movie was right out of high school. What led you to audition for “The Book of Mormon,” specifically? How did the opportunity arise? BP: So, during the fall I would go in for a few things here and there. Because of school I would only go for really big projects or things that would be really big for my career, not sort of everyday auditions. Otherwise, I wouldn’t be able to stay in school. What happened was, one of the people on the creative team saw “Pitch Perfect” and thought that my interpretation of my character Benji would be a really good match for Elder Cunningham in “Book of Mormon,” so … she had me come in, and I went through, I believe, three rounds of auditions. How do you prepare for your various roles? BP: For film and theater, your preparation is different, because for film, you’re kind of working towards one incident for each scene. You create each scene only once. For theater, you have to … sort of create this cycle that your body is used to where you can complete a full character’s journey any time, so, eight times a week, or however many times a week. My biggest challenge so far has been—apart from just finding the character and figuring out what my take on it is, because I’m a bit different from the guy that usually plays the character­—has been just the stamina, the cardio of it, because you can never really leave the stage. You’ve got song after song­—you don’t get a lot of down time. Do you prefer being in films or in theatrical productions? Why? BP: I certainly love the experience of the movie, and I can really appreciate the subtleties of it. But just because of, you know, growing up, and because I fell in love with theater from a really young age, I think that will always be my most favorite thing. Were there any movies, shows, or actors that were really influential in making the decision to become an actor yourself? BP: I’m not sure if it was actors, or more that I grew up and my dad was in the business. He, you know, would play us musicals in the car every day. So, I grew up sort of knowing all about … what’s a revival, what’s an original show, like all this sort of Broadway information you know if you grow up in New York. I think that was what set me on the track. I ended up being the only one that really wanted to stick with it—fell enough in love that I wanted to make a career out of it. Check the Book Of Mormon Tour Details here. Buy Book Of Mormon Chicago IL Tickets Online at discounted prices, SAVE $10 on Orders of $350 or more by using code AFF$10. The Book of Mormon Musical Broadway grossed $1,627,820 and had an attendance rate of 102.6%, same as that of the previous week. The 32 shows on the boards grossed $19,598,834, improving around 30.72% from the previous week’s totals. Below are the Top 16 Grosses from BroadwayWorld.com for the week ending November 11, 2012. The Book of Mormon Broadway grossed $1,332,221 and had an attendance rate of 102.6%, same as that of the previous week. The 28 shows on the boards grossed $13,578,727, dropping around 42.23% from the previous week’s totals. Below are the Top 13 Grosses from BroadwayWorld.com for the week ending November 04, 2012. Matt Doyle, Spring Awakening and War Horse actor will take over as Elder Price in the Tony Award-winning Broadway production of The Book of Mormon. He succeeds Nic Rouleau, who exits the New York company to open a new Chicago staging of the musical. A start date for Doyle has not been announced. The current cast features Tony Award winner Nikki M. James as Nabulungi, Will Blum as Elder Cunningham, Tony nominee Rory O’Mally as Elder McKinley and Michael Potts as Mafala Hatimbi. Co-directed by Parker and Casey Nicholaw, The Book of Mormon opened to critical acclaim March 24, 2011, at the Eugene O’Neill Theatre. Both earned Tony Awards for their work and repeat their duties for the tour. The Book of Mormon has set design by Scott Pask, costume design by Ann Roth, lighting design by Brian MacDevitt and sound design by Brian Ronan. Orchestrations are by Larry Hochman and Stephen Oremus. Music direction and vocal arrangements are by Stephen Oremus. Buy Book of Mormon Eugene O’Neill Theatre Tickets today. Get $10 OFF on Book of Mormon New York NY Tickets Orders over $350! Use Code AFF$10. The Book Of Mormon musical tour is scheduled to arrive Saint Louis, MO in the month of February 2013. The producers of the national tour of the new musical The Book Of Mormon, winner of nine Tony Awards including Best Musical, and The Fabulous Fox Theatre announced that single tickets will go on sale Saturday, November 17 at 10am. Tickets will be available at the Fox Theatre box office (531 N. Grand Blvd. ), by visiting MetroTix.com, or by calling 314-534-1111. The Book of Mormon will continue performances at the Fabulous Fox Theatre through March 3, 2013. Buy The Book of Mormon Saint Louis MO Tickets Online at discounted prices, Get $10 OFF on Orders of $350 or more by using code AFF$10.